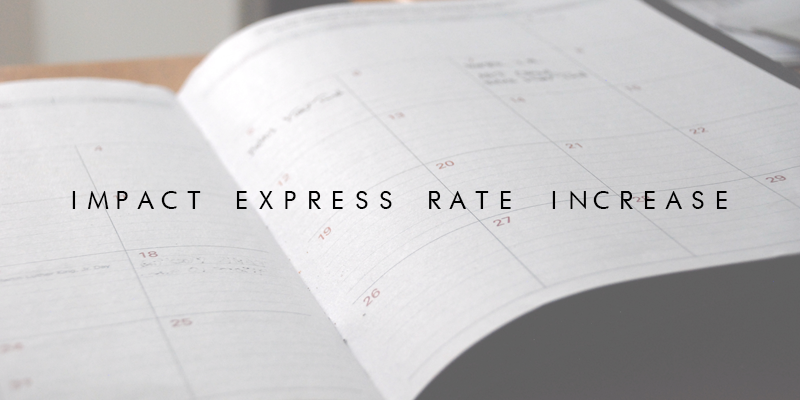 Impact Express will update its prices, effective January 1st 2019, the increase will be by 4.9%. This is to support the increases in all costs from suppliers and expansion of the business. The increase in is place for all discounted rates and agreements. All customer pricing will be available online.